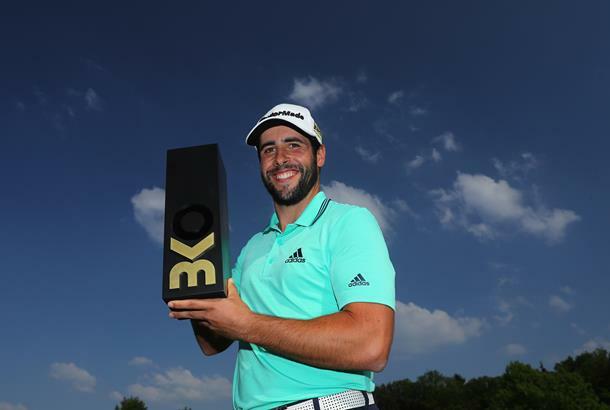 Adrian Otaegui claimed his second European Tour title in Belgium after defeating Benjamin Hebert by two shots in the final of the first ever Belgian Knockout. With his eye on qualifying for the Ryder Cup in September, it's evident by his latest victory that Otaegui is a fan of knockout formats. His second European Tour victory comes after he outlatsted the competition to win his maiden title at the Saltire Energy Paul Lawrie Match Play last year, and the 25-year-old Spaniard said the key to his success in these formats is all about focusing on his own game. “I just tried to play against myself,” he said after his win. “Obviously, your opponent is just next to you, but I just tried to focus on my game, stroke play, and so that’s what I tried to do. Having finished in a tie for 8th to qualify for the last 64, Otaegui went on to defeat Erik Van Rooyen, Maximilian Kieffer (who took out host Thomas Pieters), Matthew Southgate, Jorge Campillo and David Drysdale in each of the nine-hole strokeplay knockout matches, before setting up a final with six-time challenge Tour winner Benjamin Herbert. Despite both players dropping shots on the first hole of the final, it was Herbert who took would take the early advantage with a birdie on the second before Otaegui got himself back to level par with a birdie of his own on the fourth. From there, Otaegui took control. Three birdies in a row for the Spanaird gave him a two shot cushion heading down the final hole at three-under-par, and with both men finishing with a par, it was Otaegui who would lift the trophy. With his victory, Otaegui moves to 14th in the Race to Dubai Standings, having posted top-20 in his last six European Tour appearances. But while he is pleased with his appearance this year so far, Otaegui has made it clear his focus is Ryder Cup. Scotland's David Drysdale took home third place honours after defeating England's James Heath, who dispatched Nicolas Colsaerts in the quarter final matches by a single shot. Colsaerts was the only one of the trio of home favourites to progress further than the round of 64, with host Thomas Pieters being defeated by Max Keiffer and Thomas Detry losing out to England's Laurie Canter.